It's International Women's Week and a perfect time to introduce you to our very first content collaborator, Ruth Thompson of Kawaii Studios. 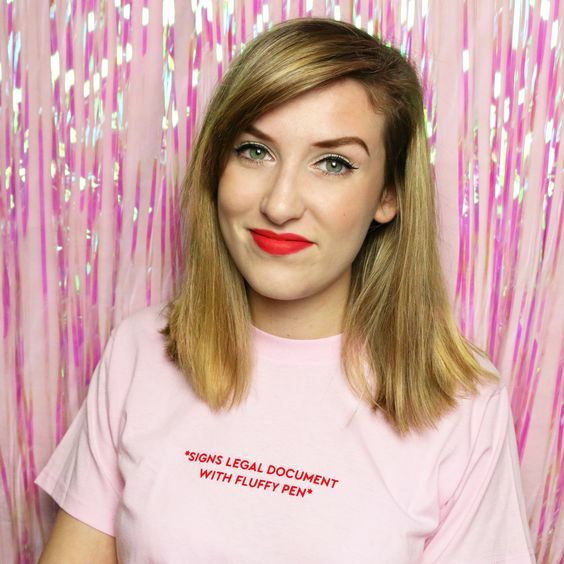 Ruth, 23, from London, is a full time Content Creator at a creative agency, who also manages a number of her own personal projects, including her shop Kawaii Studios. If you’re not aware of Ruth and her work, let us fill you in. 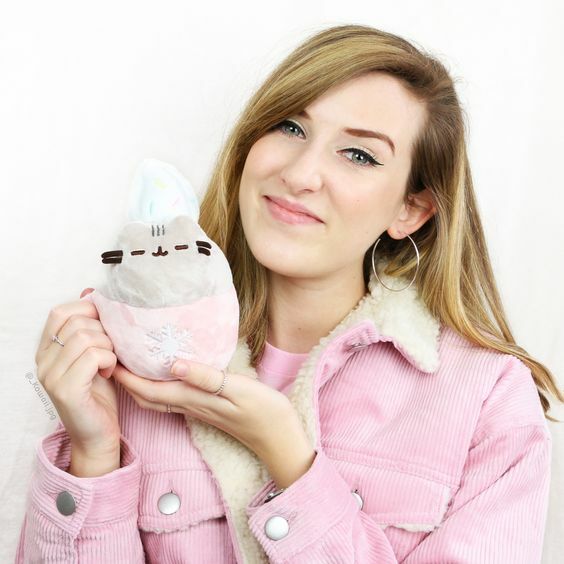 In addition to a full time job and owning a popular accessories store, she also runs YouTube channels xoxRufus, Kawaii jpg and Instagram accounts @_kawaii.jpg & @kawaii_studios, where she creates uber cute content. If you don't know what Kawaii means, it's a word often used in the context of Japanese culture to describe the quality of being cute. As you'll have noticed, we stock a number of Kawaii products including, but not limited to our Pusheen & Tokidoki collections. Which is why Ruth & her kawaii alter ego turned out to be the perfect collaborator and woman to profile. Ruth! 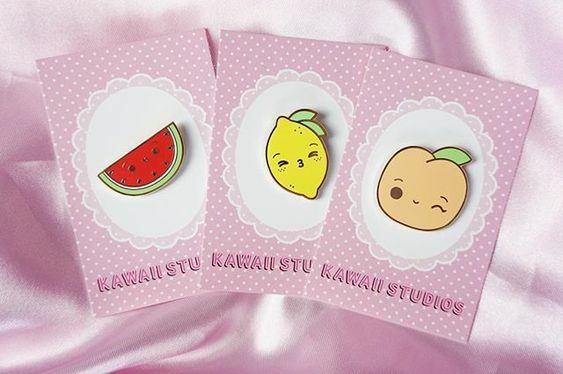 What’s the story behind how you started your Etsy store, Kawaii Studios? I’ve been working with polymer clay for over 10 years and decided to make a YouTube channel to create tutorials and share my work. I managed to gain a following and people started to ask if I would sell some of my pieces to them. That was about 7 years ago and it’s just snowballed from there with different products, mediums etc. You also run your YouTube channel, your personal Instagram account & the account for Kawaii Studios - how do stay inspired to generate different content across all of these? I actually have 2 YouTube channels and a whopping 5 Instagram accounts! They all have their various uses, one is only to show behind the scenes crafting content but to be honest I just love sharing. I also love photo styling and bright colours, the inspiration is never ending when there are so many other amazing creators and Pinterest. The only limit is time unfortunately, I can’t keep them all running well due to juggling everything with my full time job, but I’m still excited to create content. Your aesthetic is very cute, feminine and playful. Is this something you’re conscious of when creating content? Definitely! I’m a hoarder of cute colourful photography props I find anywhere and everywhere. I’m very conscious of it as it’s actually very different to my style. I like to call it all my alter ego as usually I’m wearing head to toe black, with no a colour in sight. People have met me and been very surprised because I don’t wear my own jewellery but I adore the pastel rainbow aesthetic. It’s just not my default style. It’s fun to come out of my comfort zone and since starting my most recent instagram @_Kawaii.jpg, I’ve definitely been experimenting with my style more! Colours make me so happy, I just prefer not to wear them unless it’s a pair of snazzy shoes or cute bag ha! What does kawaii mean to you? When I first discovered ‘Kawaii’ it was just a style of art to me, but now it’s come to mean a style of fashion, an aesthetic and most importantly a community of people. From bloggers to artists, kawaii just means fun, positive and creative vibes to me! Would you say that Japanese culture always plays a big part in your creative expression? Yes definitely, I don’t really remember being inspired by anything that wasn’t kawaii when I was younger. I used to print out pictures of kawaii characters from Sanrio and San-X and make collages, I must have been 11 or so. I’m just fascinated by Japan in general whether that’s the food, the wildlife or the culture. What is it about kawaii/cute culture that appeals to you? I think at first it was because ‘Chibis’ were easier to draw than real people (lol), but then I found the kawaii clay community and it was this quirky idea of putting a face on anything and making it cute. Toaster with a face… why not! Cupcake? Put a face on it! Making the normal and boring small, round and cute is so appealing to me! You’re also a Star Wars fan - are there any other non-kawaii films, brands or franchises you love? Oh yes I’m a HUGE nerd, alongside Star Wars and Marvel I am a massive The Lord of The Rings and The Hobbit fan. I’ve probably watched them all over 300 times (no exaggeration). I also watch the 24 hrs of special features for each movie an unhealthy amount, but as a crafter, I adore movies props and behind the scenes! Do you have any favourite female animators, characters or designers that have influenced your work over time? I have numerous online artist friends who inspire and influence be on a daily basis but there’s too many to name! I Hello Kitty and Sanrio have influenced me a lot, maybe not directly, but without characters like Hello Kitty I would never have been introduced to kawaii and Japanese culture. There’s a funny story about my brother telling my mum not to let me buy Hello Kitty stuff when I was younger because I was just going to get bullied at school and I’d end up hating it… fast forward 10 years and I’ve been sent PR gifts and invited to Hello Kitty events. Shows him! 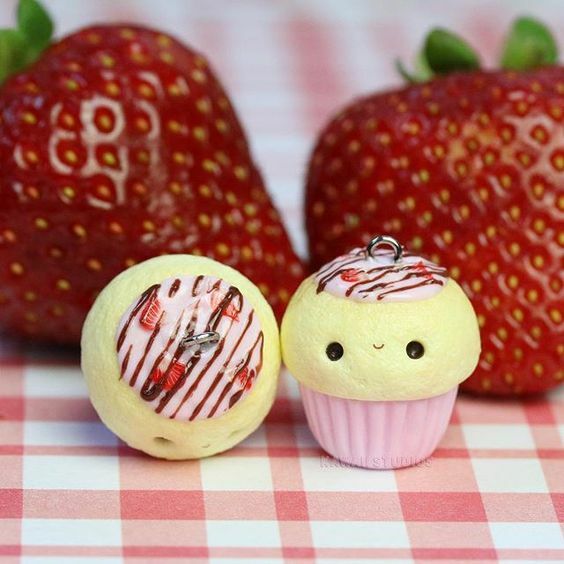 Of all the kawaii products or brands, you’ve created/collaborated with, which has been your favourite? I think my favourite brand I’ve collaborated with is Pusheen whether that’s Pusheen Corp. or wonderful companies that sell licensed items. Not sure what it is about Pusheen but they’re all wonderful to work with! It means a lot to me that Pusheen want to work with me as I’ve been following Pusheen since the beginning, since it was a simple Tumblr page. So it’s kind of surreal, just like working with Sanrio! Other than @_kawaii.jpg do you have any other alter egos? I’d love to say I have a secret super hero alter ego but that’s just not true ha! My alter egos only extend to the ‘real world’ and the kawaii world. I’ll get dressed up and go for classy cocktails in London with friends only to come home to a flat decorated in Star Wars and Pusheen. It’s the best of both worlds, I just happen to show my kawaii not through fashion! I’ll be doing a bunch of shout outs on Instagram for some of my favourite female bloggers and artists. Women support women! We're huge fans of how Ruth is redefining ‘cute’ through her personal and professional brand. As our very first content collaborator, we're really excited to champion her amazing work. Make sure to follow @ athumbsup & @_kawaii.jpg, so you can see the super fun stuff we've got lined up.